Carla Rehse: Thanks for having me on your blog! I’m an Army brat, who’s traveled the world. I’m currently living in Central Texas. 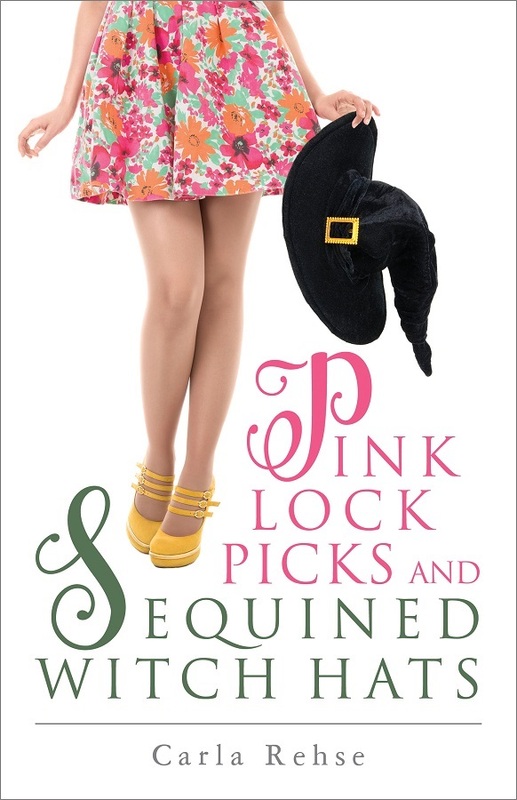 Pink Lock Picks and Sequined Witch Hats is the first book I’ve published. Carla Rehse: I enjoy crafts and spend more time on Pinterest than I should. Carla Rehse: I always have the first and last chapter in my head before I start a book. Then I complete a rough outline on a chalkboard in my office. Carla Rehse: I describe it as Clueless meets Ocean’s Eleven—with witches. Carla Rehse: Gracie, my main character, came first. Her personality and voice stayed with me and influenced the plot. Carla Rehse: It’s available on Amazon, starting 7-24-17. I also am giving away 3 signed copies at Goodreads. The contest ends 8-16-17. Carla Rehse: I’m currently working on the sequel, Pink Duct Tape and Glittery Broomsticks. Carla Rehse: Time is usually a challenge for me. Carla Rehse: Do find a supportive writing group. Critique partners are essential. Do expect it to take time to learn the craft. Do expect to get discouraged. Don’t lock yourself into unrealistic expectations. Carla Rehse: I love editing. Pounding out the first draft takes a lot of blood, sweat, and tears. Editing gives me the chance to add the little details that bring a story alive. Carla Rehse: Gracie is complicated. On one hand, she’s just another fashionista more worried about her manicure than life after high school. On the other hand, she wants to be more than that, but isn’t sure what that is. She’s also the person you want in a foxhole with you as her morals are a bit grey and she’d do whatever was needed to get everyone out alive. Carla Rehse: Sweet tea. Half and half, actually. And no lemon. Carla Rehse: Man, that’s like picking a favorite kid. Lindt chocolates? Carla Rehse: Cats rule and dogs drool!! Carla Rehse: JK Rowling, hands down. Giveaway ends August 16, 2017.